There are a surprising amount of figures coming with magazines this month. The Dengeki Bunko January issue (電撃文庫 MAGAZINE (マガジン) 2010年 01月号) includes a magazine exclusive figure of Index from Toaru Majutsu no Index. Young Ace January issue (ヤングエース Vol.6 2010年 01月号) came with a Rei Ayanami figure. And the Newtype January 2010 (ニュータイプ 2010年 01月号) issue will come with a Haruhi figure, which is part of a set with Mikuru and Yuki you can complete when you buy The Sneaker and Shonen Ace February 2010 issues (which both come out this month on 12/26). So, with all that said, back to the magazine! 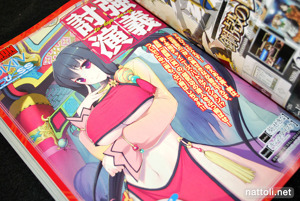 Dragon Magazine itself is a magazine that features light novels much in the way that other magazines feature monthly manga. It's arranged so there are a some color illustrations proceeding the novel parts, that are mostly black and white. The front of the magazine however, covers some anime series that have sprung from light novels. 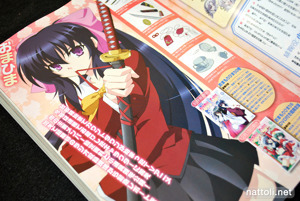 In this case it's Omamori Himari (おまもりひまり) and Seitokai no Ichizon (生徒会の一存). Though I'm not terribly knowledgeable about the light novel scene, I was really impressed to see so many artists I'm familiar with through doujinshi and other projects also illustrate for these novels. Tenmaso illustrates for one called RPG W(・∀・)RLD, and Rui Kousaki is in there for one called Hi no Kuni, Kaze no Kuni Monogatari (火の国、風の国物語). There are also illustrations from Youta, Mutsuki Hinata, Kira Inugami, and Izumi Sakurazawa to name a few. It's good to see art work from Izumi Sakurazawa that doesn't include inumimi girls ^^; The light novel she's illustrating for is called Tetsuwan Raider (テツワンレイダー). Also featured is art work from Sanbasou, Toko Hinamatsuri, Takahiro Yashima, and Kurogin with Chrome Close Chronicle, which based on costume alone looks related to Chrome Shelled Regious, but I don't know for sure ^^; Mebae is also featured with the series GENEZ, though the newer one Shugadaku (シュガーダーク 埋められた闇と少女) which is really well reviewed and won the Sneaker Award, was just advertised. 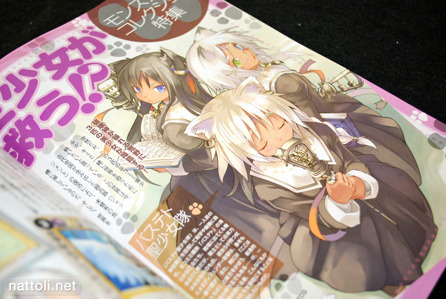 Also featured this issue is a Pixiv x Dragon Magazine collaboration called To-kyo-en-gi. 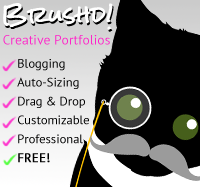 It gives an artist from Pixiv a chance to do illustrations for a one time short story. The artist for this one is Daisuke Kimura. Definitely a promising start. 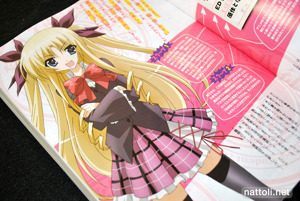 There's also section that's geared specifically at girl readers, with the traditional romance themed light novels. There are color illustrations from Kasukabe Akira, COMTA and Yuzu Mizutani. Love that little figure! It's adorable! Worth the admission alone! 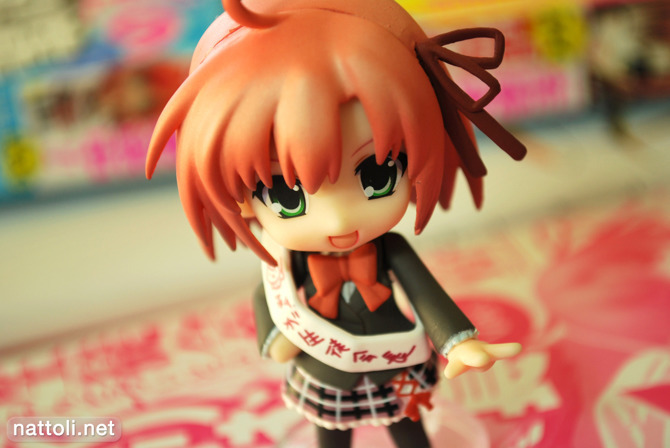 Wow is that a full nendoroid with purchase?! 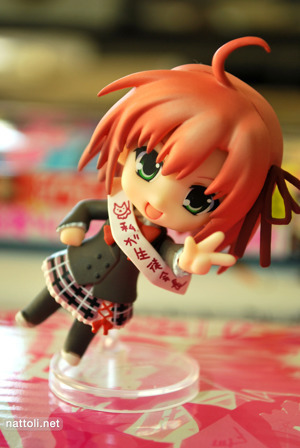 It's a Nendroid-Petit with purchase. It's the smaller series you can see here. Where can you buy this if you don't live in Japan? Sites like Akadot Retail and Amazon Japan carry them. Usually if I miss a magazine on Amazon Japan, I wait for it to show up later on Akadot (since they import). I don't know a lot of other sites that carry magazines though.